Do you usually wake up exhausted? Floor mattresses retain their shape and fit your body for increased comfort and they tend to be more accessible than regular mattresses. Using a regular mattress as a floor mattress can create an issue when it comes to warranty. As Spine-Health says, sleeping on the floor can relieve sciatica symptoms but it’s not sanitary to do so directly. Changing this habit can be difficult and quite a nightmare if you don’t choose the right mattress, in this article we hope to make your picking suitable and satisfying. 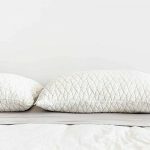 2.1 Storing your mattress after use (or not)? 2.6 Can you put any mattress on the floor? This Milliard Memory Foam is a queen size mattress which provides comfort, especially for those of you that are transitioning from a bed. The model is ventilated for air flow which keeps the temperature adjusted during the night. The 1.5 inch memory foam is certified and it has a 4.5 inch foam base to achieve greater satisfaction. This mattress is a tri-fold model which is a great choice if you are looking for something that’s easy and fast to put away. Another good feature is the removable jacquard ultra soft cover (which is also washable) with the anti slip bottom. We think this is a good choice as a first floor mattress because it’s very soft and it’s quite thick which can be very helpful when adapting from a box spring. This mattress is also very convenient for surprise guests or even camping. This model has outstanding reviews with customers that are satisfied with the design. We recommend this model if you are actually serious about changing over to sleeping on the floor, the mattress is a bit expensive but it might solve your insomnia. Check out the Milliard’s Tri-Fold Mattress here on Amazon. This product is extremely easy to pack and set up, it comes with clips that keep it in place when rolled up and it takes seconds to roll it out. It comes with a removable cover that’s washable which is great to keep the dust and bacteria away, especially if it’s stored for a long time. We personally really like the fact that it’s waterproof because you can’t exactly wash a regular mattress with so much ease. And another thing is that a lot of people look for floor mattresses for their kids and with this model you won’t have to watch over the kids in case they spill something on it. 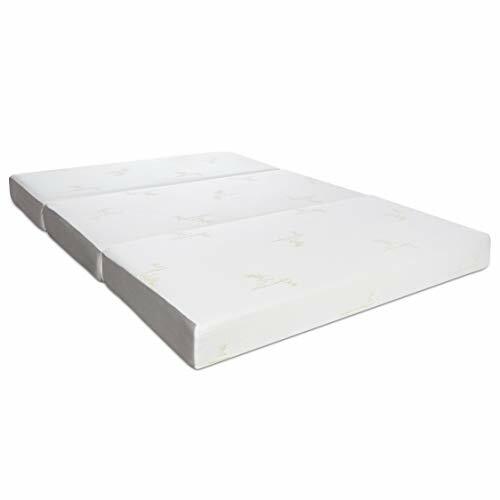 This model has a 3 inch memory foam which provides maximum comfort and support. One more thing, the previous model is a lot thicker so if you’re looking for something a bit thicker then have a look at that model. This roll out mattress also comes with a travel bag which makes it easy to carry around and suitable for camping. We recommend this model for no more than one person for absolute rest. This product is a bit expensive but considering it could be quite useful for many occasions or for everyday use, we think it’s worth it. Have a look at the Better Habitat Mattress here on Amazon. This mattress is filled with egg crate foam which keeps your body balanced throughout the night. And like the previous model, this mattress is also 3 inches thick. 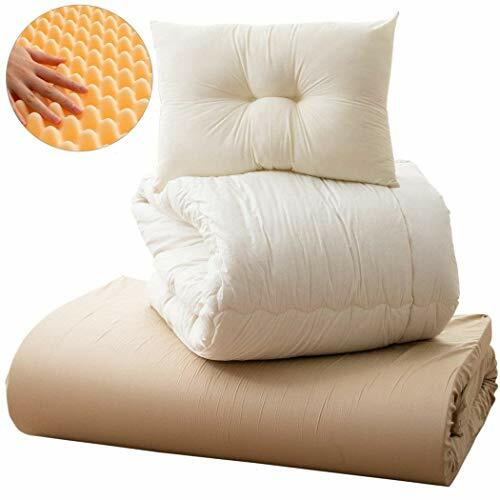 This product includes a comforter filled with soft polyester and two pillows, this feature is great for guests because it includes everything. At delivery the mattress arrives vacuum sealed but once opened, it will expand to its full size. We do recommend this model for full time use because it does not have a way to store it safely. 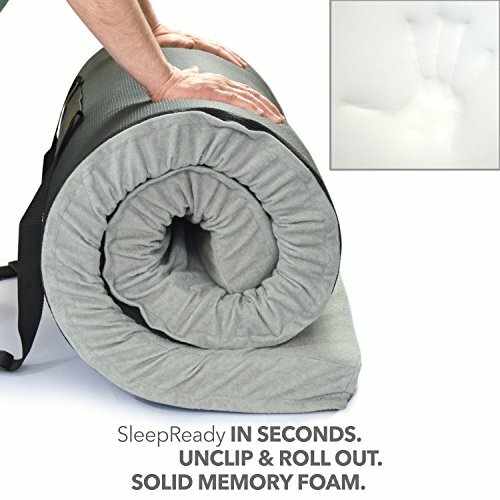 There’s also a cover that can be purchased separately and we highly suggest it because the mattress itself isn’t washable so in case of any accident you can remove the cover. This is the most expensive product from the review, we personally think it’s too expensive in comparison to the other mattresses that have more convenient features. Go check out the Emoor Futon Set here on Amazon. 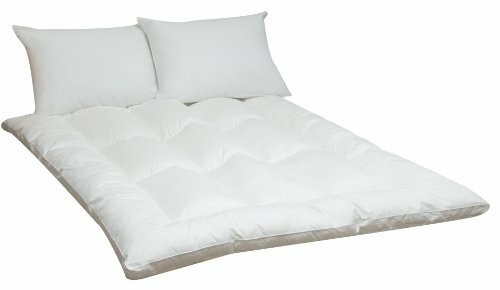 This queen sized mattress is made from 100% cotton and it features a 223 thread count cotton cover. The thickness of the mattress is 2.5 inches which is the smallest from the review and it might feel too firm. We recommend this model for people that are already used to sleeping on the floor as it can be a hard transition for the ones that aren’t. In terms of storage or portability, we don’t suggest this as an option because there’s no way of folding it or rolling it up to carry around. The mattress is hypoallergenic which avoids any kind of allergic reaction. Unfortunately this model is not washable but you can always use any queen sized cover. We think this product has an affordable price for those of you that are looking for a comfortable and large everyday use floor mattress. Take a look at the Nature’s Rest Fiberbed here on Amazon. This roll up model is 3 inches thick; it’s filled with 90% cotton, 5% polyester fiber and 5% resilient foam. 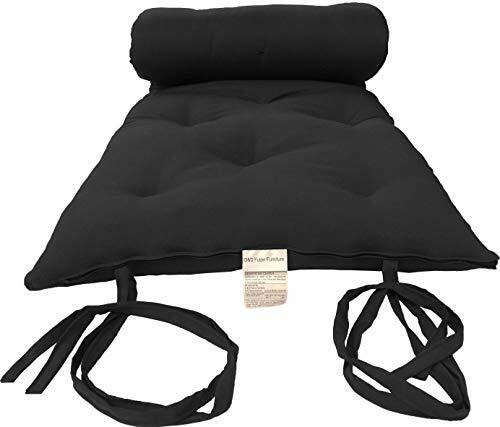 It comes with two straps at the end which we really like because most mattresses that come with straps or clips are placed at the back and that can cause discomfort when in use. The use of the straps allow you to keep the mattress in place which is great for putting it away or traveling. This model is also fire retardant which is a requirement a lot of people look for in a mattress. The size of the mattress is a bit smaller at arrival but once it’s fully stretched out, it reaches its maximum length. One more thing, this model is appropriate for two people and we highly recommend it for kids in particular. We think this model has a good price considering its portability and its size, and it could be a potentially permanent solution. Go look at the Rolling Bed Mattress here on Amazon. Storing your mattress after use (or not)? If your plan is to have a floor mattress permanently, then this shouldn’t be an issue for you. Those who choose to sleep on the floor might still need their floor space. Finding something large enough for a good night’s sleep but easy to pack away can make life easier. These types of mattresses all have advantages and disadvantages. The folding type is very easy to store but if it’s put away for too long, it can leave some lumps once fully extended, this can cause discomfort when sleeping. On the other hand, a roll-up mattress is much more convenient when storing it and setting it up; but if the clips or strap are placed at the back, it can be an issue while you sleep. The mattress type is the common shape you are used to, this means that it can’t be stored or transported easily. We suggest this type of mattress for a permanent solution. Mattresses feel different in all bodies, in order to decide this you should take a look at the thickness. You should think of previous experiences and decide whether you prefer a firmer, intermediate or softer feel. Every body is different. 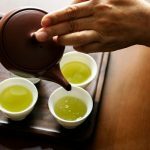 You should experiment with what kind of comfort level works best for you. One last thing, if you’re looking to acquire one with your partner, keep in mind that you both may have different needs. Many professionals recommend people with back pain to sleep on the floor and there have been many results showing that this actually helps; but we do want to say this: it varies on every person. On most cases, this does, in fact, relief back and neck issues after a few days but be prepared to feel a bit of discomfort in the beginning. As we mentioned above, your body will take a few days of adaptation; minimum a week or for some it could be more. This change is very big but it could eventually solve your issues. Be prepared for waking up with back pain and you may have a hard time finding the correct position throughout the night. It’s tough at first. Even when you try a new bed, your body needs time to adjust to the new level of comfort. It can take as much as 3 to 4 weeks. We recommend sleeping on the floor during pregnancy and so does WebMD, as it can relief back and hip pain, but again finding the correct position can take a few days, but it will show good results. Can you put any mattress on the floor? For starters it’s not suitable for that kind of use and it’s most likely to feel too firm for most people and it can actually increase back pain. Our advice is that you purchase one that is. This could also avoid you any future troubles with the warranty if the company finds out you haven’t been using it as instructed. And another important point to think about, this type of action shortens the mattress lifespan. As our top pick we suggest the Milliard’s Tri-Fold Mattress. We want to address the fact that model is indeed a folding mattress so our most sincere recommendation for those of you that pick it, is that you use it on a daily basis to avoid storing it for too long. This product is the thickest from the review, which makes it very convenient for changing your sleeping habits. It has two layers for maximum comfort that could potentially relief back pain issues. This model is a good pick for pregnancy as it has a soft feel and it’s fitting for many positions pregnancy can demand. All in all this is a great mattress for floor sleeping either permanently or every now and then.